Customers in the market will be in a position to benefit from the Omni-channel content approved by the regulator. iGaming sites powered by Playtech serving the Spanish market will now be in a position to offer more content to their players starting from this month of June. The licensees will now access the whole library of online slots to mobile and desktop users. Content on offer will include the best performing slot content which will include in-house locally themed premium games from world-class studios like Paramount, Marvel and Universal. This will be a great offering for the Spanish market which will be delivered through the Omni-Channel. Playtech is known in the market for their Marvel Slots like the Avenger, Thor and Iron Man. They have more 3D slots like the Gladiator, King Kong and Sopranos. Their original games are still being treasured and some of them are, Gold Rally, Desert Treasure, Wild Gambler and Safari Heat. These are some of the slots that have been marked among the best among the players. Playtech know they will do good in Spain as they offer cutting-edge and profitable gaming solutions through their Omni-Channel. This assists in proving them as leaders in the online gaming industry and among the land-based brands. With their ONE technology, players are sure to enjoy their gaming through seamless gaming anywhere and at any time using a single account and a single wallet. The gaming regulator in Spain approved the slot games last year in July and had the licensing window reopened in November which is a first time after the market was regulated in June 2012. A statement from Playtech’s officials narrated of their joy in extension of their services in the region and said that this was a move to increase on their services in growing their market share. Players from Spain are in a position to take advantage of games from Playtech on through their Omni-Channel on mobile, in-venue and in retail outlets, they will enjoy virtual, live, social, casual, fixed odds games, casino, poker, bingo and sports games. 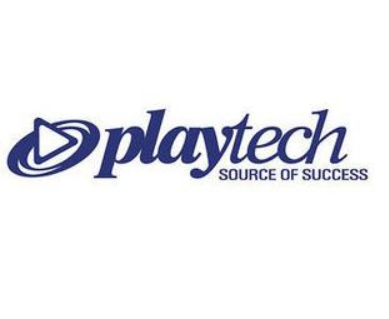 Playtech is a leader in the Omni-Channel software systems and supplier of financial trading and gaming services to more than 120 licensees in 20 countries. Playtech pioneered the Omni-Channel gaming and through their ONE brand, they are able to offer their clients with seamless services, anywhere, at anytime. This is through their products, mobile, online and retail channels. Their portfolio of products is through gaming and financial trading. Their Licensees are leaders across the globe in retail, online and mobile operations. They also have land-based casino groups, government sponsored entities and new entrants into the newly regulated markets.